A comprehensive collection of many of the Reggae King’s greatest songs. Includes lyrics and guitar chords. 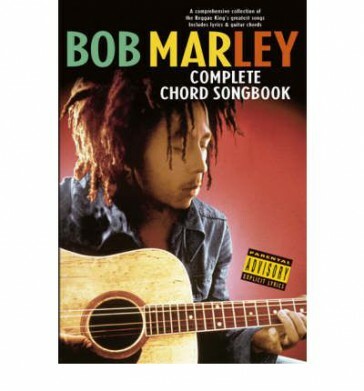 Presents the complete lyrics and chords to all 124 Bob Marley songs as featured on the albums “African Herbsman”, “Catch A Fire”, “Burnin'”, “Natty Dread”, “Rastaman Vibration”, “Exodus”, “Kaya”, “Survival”, “Uprising” and “Confrontation” plus extra songs featured on the compilation albums “Legend”, “Songs of Freedom” and “One Love”.